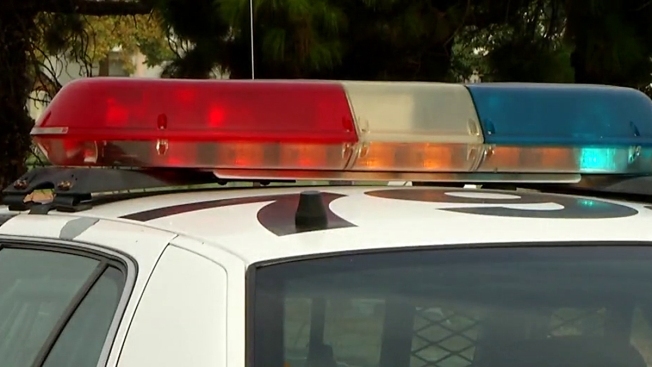 Officers shot a woman they say drove at them, striking two patrol cars, in Livermore Saturday night, sending her to the hospital, police said Sunday morning. Around 11:51 p.m., an officer on routine patrol in the northwest part of town saw a vehicle deemed "suspicious" in the parking lot of a business in the 1000 block of Airway Boulevard, police said. A records check revealed that the vehicle had been reported stolen Thursday, according to police. Several officers arrived and ordered the vehicle's only occupant, a 26-year-old woman, out of the vehicle, police said. The woman ignored the commands and drove toward the officers, hitting two patrol cars, according to police. Fearing for their safety, officers fired at the suspect, police said. She was struck by the officers' fire, was given first aid and was taken to the hospital, police said. Her injuries were described as not being life-threatening. No officers were injured in the incident, police said. Anyone who witnessed the incident is asked to call (925) 371-4777.